Today was a pretty awesome day, both the weather and the way we spent it. Some days, things just work out perfectly, even when they weren’t originally planned. We decided to head to Hamilton for the day, and timed it so we could stop in Manukau for lunch so we could try Texas Chicken, which I talked about earlier this week. We both liked the chicken (crispy and far less greasy than KFC), the mashed potato and gravy (less peppery than KFC), the coleslaw (tasty vegies and not as sweet or overly liquid as KFC), and the chips, but I was less keen on the biscuit (basically, a scone dipped in honey; but I liked it better than KFC’s bread roll, so there’s that) than Nigel was. We’ll definitely have it again. I took the photo above after we were finished, obviously, and kind of quickly (so it’s a bit out of focus). The food court was very crowded and it just felt odd to take a photo there—it made me a bit uncomfortable. The mall there is actually a fascinating place, far more ethnically diverse than any other mall in Auckland, yet with most of the same stores as any other, which is noticeable because the area has been considered “deprived” for years. After lunch, we immediately headed on our way, getting as far as Gordonton at 2pm. We made our way into town, first to visit Nigel’s sister and her husband, and Nigel’s Mum, who was staying there because she was sick with a bad cold. It was getting on to late afternoon by this point, so we went on to Nigel’s brother’s house, picked up him and his two daughters (our nieces who used to stay with us during school holidays when they were kids), and off we went to a place in the Rototuna area of Hamilton called The Keg Room, which is basically a pub/café kind of place, right next door to a restaurant owned by the same people called The Eatery. It was a lovely dinner, and a nice time together. By the time we finished, it was dark outside, so we dropped them all off at home and headed back to Auckland. It took about an hour and forty minutes (I timed it for no particular reason). And, that was that. None of that was planned in advance, it all just kind of fell together late morning, and off we went, somewhat spur of the moment. Sometimes the best days happen that way, and this one, with it’s perfect autumn weather, was a pretty awesome day. Days like this make up for the days that aren’t like this, I think. Update – May 1, 2016: We had KFC for dinner tonight, while the other place was still fresh in our minds and we could make a fairer comparison. The results: KFC chicken pieces are MUCH smaller than Texas Chicken's, far saltier tasting, and noticeably greasier. The potato and gravy is nice, but the gravy is peppery; Texas Chicken's is very different, but nice, too. KFC coleslaw tastes nice, but it's too watery and is oddly sharp taste (although, it did seem like a bit of an antidote to the greasiness of the chicken). Also, why dies their coleslaw have no green cabbage in it? 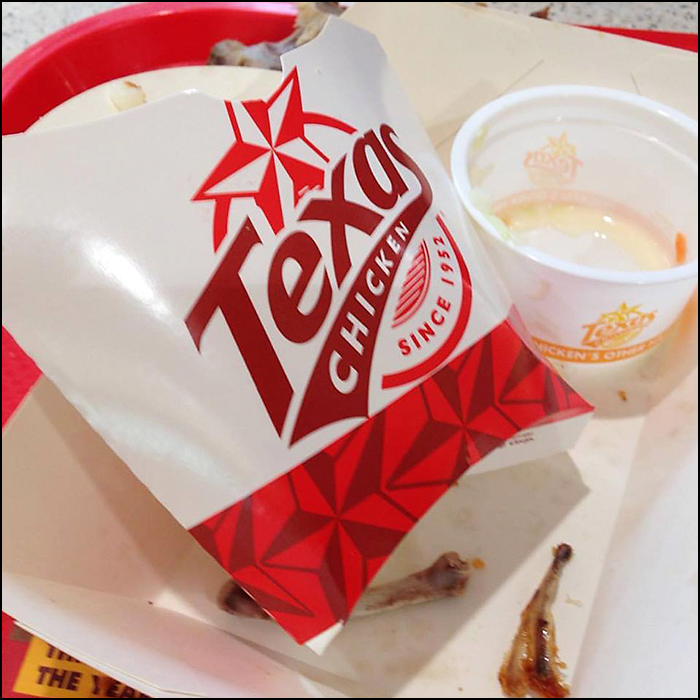 The Texas Chicken coleslaw was made with finely shredded cabbage, not chopped, there was some green, and the dressing was much more subtle in both taste (not as tart or sweet as KFC), and not watery), So, on balance, we definitely preferred Texas Chicken. And, finally, for both meals we shared a three-piece meal with one extra side. Here’s a sentence I never—ever—would have expected to utter: I’m excited about having some dental work done. No, seriously! It’s the first time in my life that I’ve left any sort of tooth doctor’s office feeling excited and smiling broadly because of it. And it’s all because of the new journey about to begin. Two years ago this month, I first talked about this whole journey, but the tl;dr version is this: I wanted a prettier smile, went to a dentist who referred me to a periodontist to treat my serious periodontal disease, I responded to treatment very well, went to a new dentist early this year in preparation to go see an orthodontist, which I did in March. And this is where the new story begins. A couple weeks ago, I got a call from the orthodontist’s office and they’d had a cancellation, so would I like to come in on May 2 to have the braces installed, instead of May 15? Yikes! It was suddenly very real! And, all the more so because I hadn’t yet seen the full treatment plan. Then, I got a call last week to say the orthodontist would like to see me yesterday to put a band on one tooth to get ready for next week. I still hadn’t see the plan, but figured I could talk about it with him. When I got there, he said he’d been reviewing everything, and while his treatment approach is usually quite conservative (and traditional), he thought I’d be a good candidate for Invisalign instead of traditional metal braces. I had an open mind about it, but the more we talked the more I realised that was for me, and by the time I left I was really excited about it. Basically, Invisalign is like a specialised clear plastic mouthguard that’s worn about 22 hours a day, including while sleeping. There’s a new device roughly every two weeks and over time the system shifts the teeth. The devices are removed for eating, and teeth cleaning is normal—and that, more than anything else, is what sold me. I have a history of periodontal disease, of course, and with Invisalign, I can brush and floss my teeth like normal, thereby reducing the likelihood of new disease. Also, traditional metal braces tend to encourage the build-up of plaque on teeth, and I was told before that I’m especially prone to that, so anything that minimises the opportunity for plaque build-up is a good idea for me. The added bonuses are that it’s nearly invisible, unlike traditional wires, and also don’t irritate the cheeks like metal braces can. There’s also no constant tightening required, as with metal braces, because the fortnightly devices basically do that. So, I’m going back for my already-scheduled appointment on Monday, and he’ll take the special mould that’s sent off to the lab in the USA. There, they scan the mould and the computer devises a plan, complete with the number of devices I’ll need, and they apparently even produce a computerised look at how my teeth will look at the end of the process. There are some catches, of course. First, it’s about 25% more expensive than metal braces (or, metal braces are about 80% the cost of Invisalign). Also, some people don’t respond to the treatment well enough, in which case metal braces are still an option. The system does allow for a couple tweaks to the treatment programme along the way if it’s not going quite as expected, which is a help. So, because this system allows me to clean my teeth normally, because it’s less traumatic to teeth than metal braces, and because—let’s be honest—it’s not as visible as metal braces, I think this is a great option for me. Once the moulds are done and the lab does their bit, we’ll know if I really am suitable for it, and if I am, how long it’ll take (generally, it’s about a year or so). I know there are some people who would think this is all silly, that I shouldn’t spend the money on what they perceive as pure vanity. However, there’s more to it than that. 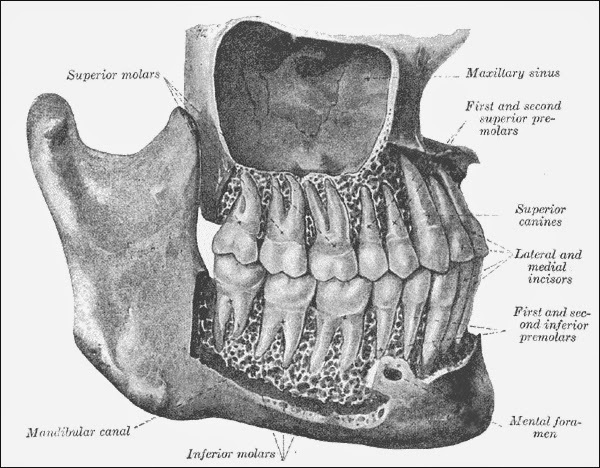 Gaps in teeth, like I have, can lead to periodontal disease, which is one of the reasons I had all the trouble—apart from my lack of attention to it, of course—because I was prone to disease. By fixing my smile, I’ll definitely make myself happier—absolutely it will—and that’s justification enough. But doing it will also make it easier for me to remain disease-free, and that’s a practical reason. Mostly, though, I just want a prettier smile. So, on Monday I go for my moulds and soon after we’ll see if this really is the start of the journey I thought I was beginning two years ago. This past Tuesday was a big deal for the USA, as Drumpf and Clinton both became the presumptive nominees of their respective parties. No one seemed surprised by that, nor should they have been: It was obvious all along. The fact that Drumpf did well in the Northeast surprised no one: It’s his region, and if he hadn’t done well, THAT would have been news. His margins were “yuge” in many cases, which tells us pretty much nothing: The extreme far-right Canadian-born Rafael “Ted” Cruz was never going to do well in the region, and Kasich, who differs from Cruz mainly in that he knows how to keep his mouth shut, did only marginally better as the “not Criz” and “not Drumpf” candidate, not because anyone actually wants him, because—clearly—hardly anyone does. On the Democratic side, I’m amaized that anyone didn't see the results well in advance: All of the primaries were closed except for Rhode Island, so the results were entirely predictable: Bernie does well in open primaries, and Hillary beats him in closed primaries—this is not new or news. So, the results were exactly what I expected. Hillary Clinton is now a little over 200 delegates away from the nomination, which means she is now the presumptive nominee: It’s mathematically impossible for Bernie Sanders to win enough delegates to get the Democratic nomination—that’s not partisan, or whatever, it's math. If you look at the rest of the primaries, they're mostly closed, which favours Clinton. All she has to do is pick up is the most delegates in the remaining primaries and she could very possibly have the nomination locked up before California. This is why Clinton has been saying such conciliatory things toward Sanders and his supporters: The contest is winding down and it’s time to unite the party. Sanders indicated that he’ll be continuing in an effort to make the Democratic platform more progressive, which is a worthy goal, even though no one pays any attention to either party’s platform, except to get annoyed/angry. Or, so it seems. So, the results of Tuesday were no surprise whatsoever, and we now have the presumptive nominees for both parties. What happens next will say a lot about the character of both parties. When I arrived in New Zealand two decades ago, there were plenty of things to get used to, including lots of products and brand names I’d never heard of. 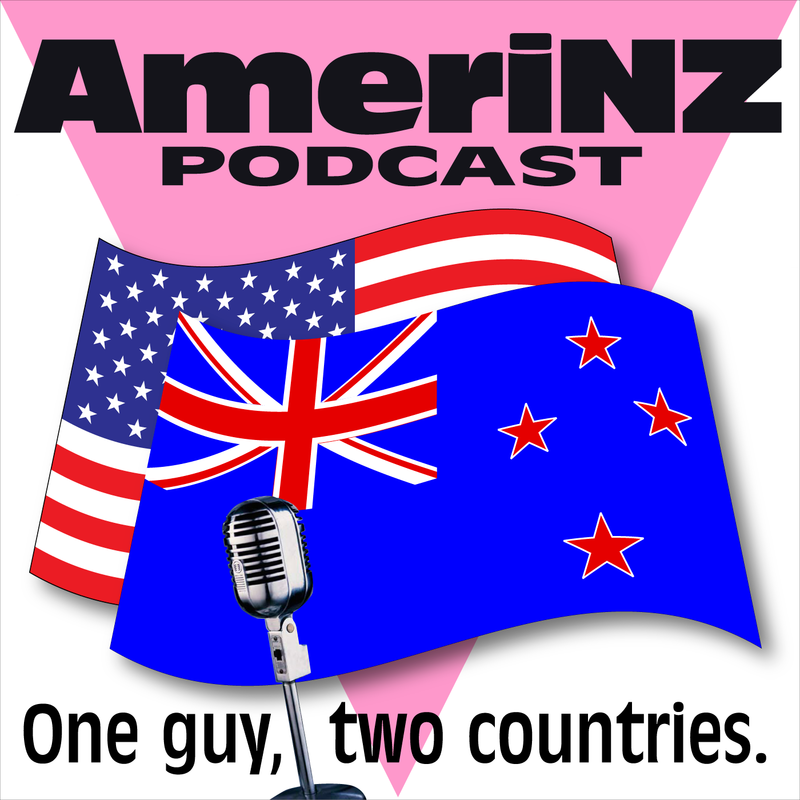 Over the years, a lot of familiar American brands have entered the NZ market, sometimes locally-owned/licensed. Today I heard about an unfamiliar brand that, it turns out, is very familiar to me. Nigel had a meeting in West Auckland this morning and he rang me while he was on his way. “What’s Texas Chicken?” he asked. I’d never heard of it, so, of course, I turned to the Internet. 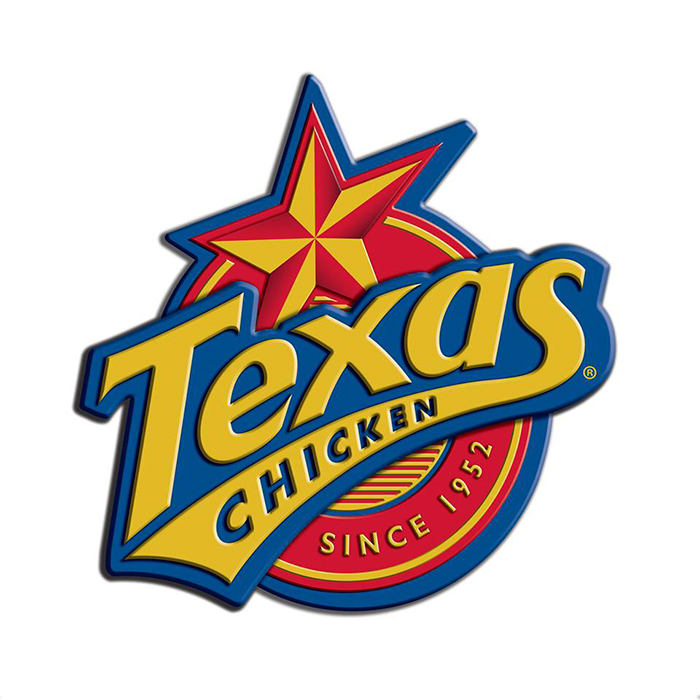 It turns out that Texas Chicken is the brand name for Church’s Chicken outside the Americas. I presume that’s because the chain was begun in Texas in 1952, and also to avoid people in non-Christian countries assuming it had something to with Christianity (there was a controversy about that in Malaysia in 2015). Their first New Zealand outlet opened at Westfield Mall in Manukau back in July of last year, and they now have a freestanding location in Henderson, where Nigel saw it. The company plans on having 20 locations in New Zealand within 10 years. I liked Church’s Chicken when I lived in the USA, but it was my second favourite to Chicago chain Brown’s Chicken, which I loved (and their deep friend mushrooms were awesome). However, there were a lot more Church’s locations, and all over the place. I ranked Kentucky Fried Chicken, as KFC was then called, third, and Popeye’s not at all (I don’t like hot and spicy foods). KFC reminded me of church dinners—the chicken, the coleslaw, the mashed potato and gravy, even the dinner roll—were all like what I’d had at church dinners. That made it familiar, and pleasant enough in that sense, but I prefer my fried chicken to be crunchy, not soggy. So, I much preferred Brown’s or Church’s to KFC. KFC has been in New Zealand sine 1971, and now operates around a hundred units. The re-design of KFC stores in New Zealand was later adopted as the template used around the world. KFC is a unit of New Zealand’s leading fast-food company, Restaurant Brands, which also owns the New Zealand rights to Pizza Hut, Starbucks, and Carls Jr. They also own the New Zealand rights to Taco Bell, which, like Pizza Hut and KFC is a brand owned by the USA’s Yum Brands, and the company hinted last year that they may begin opening Taco Bell units. If those weren’t enough American brands, we also have McDonald’s, Burger King, Wendy’s Hamburgers, Subway, and Domino’s. Beyond that, we also have chains from other countries: Oporto, an Australian-founded chain of Portuguese-style chicken places, and Nando’s, an international chain that originated in South Africa, with a Mozambican/Portuguese theme (the chain is particularly popular in the UK, apparently), and Esquires Coffee, which was founded in Vancouver, but is operated in Australia and New Zealand by Retail Food Group. There’s also The Coffee Club, an Australian chain of coffee cafés, which opened its first NZ franchise in Wellington in 2005—its first outside Australia. Pita Pit, which was founded in Canada in 1995, is also in New Zealand. There are homegrown New Zealand chains, too, of course: Hell Pizza, Burger Fuel, Mexicali Fresh, Sal’s Pizza, and Columbus Coffee are all New Zealand-born chains, some of which are expanding overseas. Columbus Coffee began in Auckland’s CBD in 1994, and has since grown throughout the country. More than just a coffee house, they’re actually full cafés, offering really nice cabinet and freshly made food, plus muffins and cakes and other treats. And, of course, they serve good coffee. They operate the cafés in many (all?) Mitre 10 Mega stores, a New Zealand-owned chain of hardware and home centres. They are by far my favourite of the chain coffee places, though independent neighbourhood cafes often have outstanding coffee (one near our house does). Burger Fuel is a New Zealand gourmet burger chain that’s expanding internationally. The first location opened in Ponsonby Road in Auckland in 1995, and their second opened in Takapuna in 1998; one of those two was the first we went to, though I can’t remember which it was. Hell Pizza was founded in Wellington in 1996, and is now also global. Over the years, its edgy marketing campaigns have gotten it into trouble, some of which I’ve blogged about. Mexicali Fresh is owned by Mariposa Restaurant Holdings, a NZ company that last year bought New Zealand’s Burger Wisconsin chain, which was the first gourmet burger chain in the country. I’ve written about Sal’s Pizza, and they remain a favourite. They are the only authentic American-style pizzas I’ve had in New Zealand, however, it really is “New York style”, while I’m used to (and prefer) Chicago style, which has a crispier crust (thick crust/stuffed/pan pizzas are another thing altogether, and not a personal favourite). I’m sure I’m forgetting something or other, but I’m not necessarily a chain-food person, anyway, and often prefer independent cafés, restaurants, and pub cafés. Still, I do like them from time to time, and I’m looking forward to trying Texas Chicken at some point. But, like Carl’s Jr., I may end up waiting until there’s a closer location. Today I was driving home after my last errand, a stop at the grocery store. As I turned onto our street, I noticed a woman walking toward the street I'd just turned off of. I noticed her because it’s not common to see people out walking, then I noticed something else that gave me pause. The woman looked like a mum in her 30s, maybe, wearing a white tank top, some sort of pinkish sweatshirt tied at her waist. I think she had earbuds in, too. And that's about all I noticed—I don't pay all THAT much attention to women, after all, and I was turning the corner at the time. But a second or two later, I saw man she'd passed stop, turn around, and look at her as she walked away. He looked a bit long, checking her out, obviously. He turned back and saw me watching him—we briefly made eye contact as I drove past—and he looked kind of, well, sinister. For the next minute I debated with myself what to do: Was he a threat, or just a sort of unfortunate-looking guy who got sprung perving at the woman? Was he harmless, if a wee bit creepy, or was he really sinister? By this time, I'd reached our driveway, and I turned in. Then, I put the car in reverse, backed out, turned around, and drove back up the street. When I reached the corner, both were gone. I calmed my mind about that, reached the corner and looked up the street: The woman was still walking up the road, alone, and the man was nowhere. I turned around and went home. I'd been worried that I was unfairly judging the man, that I was judging him because he had a "sinister" look. But I was more worried that if I'd been right, that woman could have been in danger. That's why I turned around and went back to check on the woman, who was totally oblivious that any of this had happened. Too many of us look away when we see something that doesn’t seem right, we convince ourselves everything’s fine. But, what if it isn’t? It took me maybe two minutes, three at most, to make sure that woman was safe. Put another way, it cost me nothing, but had I done nothing and my suspicions been right, that woman would have paid a very high price. I’m not advocating undue suspicion, and paranoia is a really bad thing, but if something just doesn’t feel right, and if we think someone might be in danger, I think we have an obligation to follow our instincts and check things out. I’d rather lose a few minutes of my time finding out nothing’s wrong than do nothing, then find out I was right and could have prevented a bad thing happening. The next time I get an uneasy feeling, I hope I remember that. Something light to start the day: The video above from National Geographic is another one that I didn't share because of my irregular blogging over the past couple months. I think I was originally going to use it as part of a longer post, but I forget what that was going to be about. So, here it is all its own. I’m a huge fan of romance and love, and over the years I’ve posted a few videos celebrating both. There was a flurry of gay marriage proposal videos as marriage equality arrived in one US state after state, and then kind of slowed after the US finally achieved 50-state marriage equality. To be sure, people still post videos, but I now only share ones that are unusual in some way—like this one, for example. I can’t remember ever seeing a treetop proposal before. There was a time, not all that long ago, when a video like this from a mainstream media organisation like National Geographic would have been unthinkable. That’s not just because marriage equality hadn’t arrived yet, but also because the everyday lives of real gay people just weren’t being reflected. And that’s one of the things I’ve noticed the most: It’s not just that for a time gay marriage proposal videos were everywhere, it’s that more and more gay people are being included as part of the ordinary content produced by various media companies—not special coverage, and not treating us or our lives as unusual or exotic, nor even including us just because we're LGBT, but instead just as ordinary people. This is what progress looks like. One of my activist colleagues back in the day used to say that the LGBT rights movement was more or less a long march toward banality, because he felt the whole point of the struggle was to make it so that LGBT people were just people. We’re still not at the end of that march, but we are closer than at any point in my lifetime. So, two guys who love each other both decided to propose to each other at the same time and place, and National Geographic shared their story as they do lots of stories of real people. That’s good in itself. But videos like this of happy gay people in love always make me smile. Always. And that’s reason enough to make sure I shared it… eventually. Today is the 100th anniversary of the first official Anzac Day—April 25, 1916. It was held on the first anniversary of the doomed Gallipoli campaign, and has since grown to include honouring all soldiers, and especially those who died, in service to New Zealand and Australia. But the Gallipoli connection remains paramount. Anzac Day has always been a special day, but this year in particular some people have been saying, “what about the New Zealand Wars?” (as for example, the latest Pensilsword comic). I have some sympathy with that because I feel strongly that people should know the history of their country, good bad and indifferent. However, I don’t personally think that has anything to do with Anzac Day, but, rather, that the New Zealand Wars should get their own focus. There’s been a small movement to create a new national holiday to commemorate the wars, and while Prime Minister John Key has ruled out creating a new public holiday (because the business elites he represents don’t want workers to have another paid holiday off work), he has talked about possibly changing an existing public holiday into a day of commemoration. Which one? If I was more cynical than I actually am, I’d say he’d pick Queen’s Birthday so he can rile up his party’s base in the lead-up to the next election, but the truth is that there are no public holidays that aren’t otherwise engaged. Even Anniversary Day, which commemorates the founding of New Zealand’s nineteenth century provinces would be a problem because of regional pride, and especially because they’re on different dates. Still, there would at least be a kind of poetic justice in eliminating the various Anniversary Days in favour of one day commemorating the nineteenth century’s New Zealand Wars. My bet is that it simply won’t happen at all, not under a National Party-led government. So, Anzac Day will continue pretty much as it has for the past century, a day of remembrance of the fallen, an acknowledgement of the sacrifices of all who served, and, in particular, a pause to remember the disaster of Gallipoli. For some, that may not be enough, but for the majority of New Zealanders, it is, so I’m confident the day will continue for a long time to come. 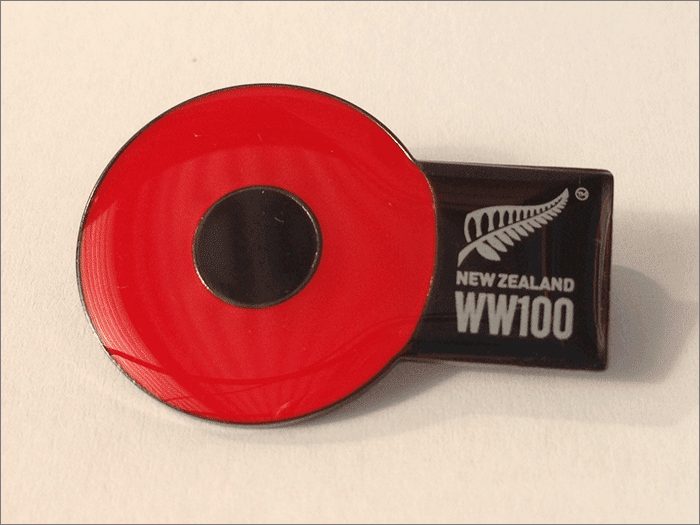 The photo above is one I took last year of the official Anzac Day WW100 Commemorative pin I’d bought for that year. I used the photo in my Anzac Day 2015 post. 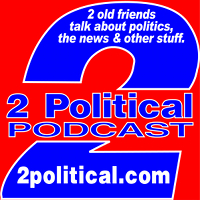 Episode 118 of the 2Political Podcast is now available from the podcast website. There, you can listen, download or subscribe to the podcast, or leave comments on the episode. The five most recent episodes are also listed with links in the right sidebar of this blog. Something odd is going on with the numbering of episodes—check the site later this week for updates. I’ve been “under the weather” the past week or so, and have fallen way behind in blogging. Actually, due to a number of things, I started falling behind last month. Ordinarily, that wouldn’t that big a deal, but it’s meant I wasn’t able to share interesting things I’ve run across, like the video above, things I wanted to share but also say a bit more about than I would in an Internet Wading post (also disrupted). I thought this video from Vox was interesting in its own right, even if I already knew about many/most of the things they talk about, since my undeclared minor in university was anthropology—something I seem to have neglected mentioning on this blog. Oops. Anyway, I have the palmaris longus muscle in my right arm only, and I knew I had it there, but hadn't noticed that it was only my right arm. I have no idea why, but since I am right-handed, and that arm is more active overall, maybe that’s why. The video says that the vestigial things they discuss “only make sense within the framework of evolution by natural selection” which is obvious, of course. But the title of the video “Proof of evolution that you can find on your body”, while also true, nevertheless really annoyed me because it sounded to me like it was almost pleading to those who say they don’t “believe” in evolution. Or, maybe I’ve just encountered too much anti-intellectualism too often. At any rate, there are a lot of videos on YouTube that explain one thing or another, and Vox has produced some pretty good ones, including this one. This one won’t convince a science denier to “believe” in evolution, but maybe it’ll add to the questions they cannot answer rationally without science, leading, with a bit of luck, to a future time in which they stop trying to pretend science isn’t real. If so, I wonder if they'll experience one of the vestigial reflexes evolution left behind. It was still dark outside, and very early, when I heard the news that Prince had died. Nigel was getting up to start his day and checked his phone for messages. That’s what woke me up. “How bizarre!” he said. Well, I think that’s what he said, because I wasn’t awake yet. I probably asked, “what is?”, and he said, “Prince died.” I probably said something like, “huh!” and went back to sleep, because it was still early. And that’s the perfectly ordinary way I found out. A couple hours later, I was checking Facebook and there were a few mentions of it, but not a lot: That hour was still during the working day in the Americas, and most of my Facebook friends were still at work. I didn’t expect to see many more posts than I saw right then. When I checked back later in the afternoon, I saw post after post from people mourning Prince’s death. I could actually feel the pain expressed by many of them. I was surprised. I was sorry to hear the news, because over the years I’d liked a lot of Prince’s songs, and also many of his songs that had been recorded by others. Prince was a part of the soundtrack of my 20s in particular, but I kind of stopped paying attention when he changed his name to a symbol. So, sorry as I was, I wasn’t mourning his death, even as so many people I knew—and millions more I didn’t—were. It was kind of confusing to me. I wasn't a fan of Prince, but I can see that a large number of my Facebook friends were. To them I want to say that while I didn't see what you saw, I DO understand your sense of loss, and I hope you find peace soon. Point scoring is selfish and only hurts people: I will not add to the pain in the world. Peace, my friends, whatever you feel (or don't). I got comments from some who felt the same as me, and some who felt differently, both as mourners and, well, not mourners. One comment was particularly poorly received, but to be honest, I saw far worse things said elsewhere. Be that as it may, the events made me reflect on everything that was happening, since I wasn’t part of the mass mourning, and yet, was connected to people who were. I don’t know that I’ll ever be in that space again, and I wanted to understand it all. So, this post sort of evolved from various comments I left on Facebook over the past couple days because I realised that my own personal understanding was growing through making those comments. Others will see things differently, of course, but this is where I arrived. I realised that when there's a figure who was significant to us during our transition to adulthood, that person can take on a huge symbolic importance, and when that person is a well-known artist—a performer of some sort, an author, whatever—that means the feeling of loss and grief is shared by a great many people. In such situations, collective grief is, in my view, a good way to processes those feelings (personally, I also blog about them, of course). I think the reason for that is that very often when someone famous like this dies, part of what's happening is that we’re confronted with not just our own mortality (most deaths we mourn personally do that), but we also feel the loosening of the bonds that connected us with a significant period of our lives, while at the same time, it dredges up the pain we felt at that important time. So, in a sense, we're mourning all that we've lost, including our own youth and innocence, as well as remembering all the pain we thought we'd left behind. Through the Internet, we can share that mourning with people who understand what we're feeling and why. The fact that all this is being played out on the Internet is kind of beside the point, really. Had the Internet existed when Elvis, John Lennon, or Princess Diana died, it would have been the same. In fact, it actually was very similar. For example, when John Lennon died, the public grief was every bit as pervasive. TV stations had lots of programming, especially on cable. Back then, radio stations played all Lennon songs, some stations adding music by the Beatles, but not all did (in the Chicago radio market, where I lived at the time, there were several stations doing this). There were memorial vigils held in cities and towns around the world. All of that is happening now, too, though much of it is on the Internet. I definitely wish that the Internet had been around when Lennon was murdered because I found that mourning experience to be very lonely, and I would have loved to have been able to share it with others who felt the same. To be honest, I didn't take much notice of Elvis' death, but Princess Diana's death was similar in some ways to what we're seeing nowadays: Friends and I exchanged emails to talk about what we were feeling, similar to Facebook now, yet we also got together with local friends to watch her funeral on TV, similar to the way things used to be done. I think what some people lose sight of when there’s mass public mourning is that among the many things that define us as humans are our emotions and the fact we are social animals: Nearly everything nearly everyone does nearly every day is social, from work, to how we live, how we shop, what we do for recreation, and even how we mourn those who’ve died. The Internet Age didn’t create social mourning, it merely made it possible for us to share our grief with lots of people who feel the same way, and there’s no more human response than that. So, I think what's happening now is no different than the way things used to be, except insofar as people now have this wonderful online world we've created that allows us to share life with each other in ways that were never possible before. When we see something like this outpouring of grief, we don't have to share our friends’ sense of loss to feel badly for them and what they're going through. I wish I could give them all a hug. Which is why I cannot understand why anyone would feel the need to belittle or in any way dismiss what others are feeling. The whole point of my original Facebook comment was that I didn’t share the feelings everyone else did, but as a human being of course I wanted my friends to feel better: I was acknowledging honestly my feelings AND theirs. This was one of those times when I'd rather give a shoulder to friends in pain than be "right" about some point or other. I still feel that way: Discussions about issues of one sort or another can happen any time, but this is not that time. It was part of why I phrased my Facebook message the way I did: I wanted critics to button it for the time being to allow people to get through their grief. Some of my fellow human beings—people I actually know—are in pain. I have a duty to ease their pain if I can, but must absolutely avoid making it any worse; I was trying to get some others to realise that, too. The Internet has provided a great way for people to share their grief with people who feel it, too, and that’s wonderful for them. Really, that should be good enough for the rest of us. The video up top was shared as a comment to my personal Facebook post. It pretty well sums up what I feel about mourning celebrity deaths online. Last weekend, Bruce Springsteen announced that he was cancelling his show in Greensboro, North Carolina, because of the state’s recently-enacted law promoting discrimination against LGBT people. He posted his statement on Facebook. It was a pretty strong statement from an ally, well worth sharing. I shared Bruce’s statement on my personal Facebook and some of the reactions frankly surprised me. Far worse, though, were reactions I saw elsewhere, including rank homophobic bigotry posted on Bruce’s own page—and probably from people who would never have gone to the show, anyway. The main thrust of the more reasoned criticism was that it was selfish of Bruce to do this, that he was hurting his fans, and it would have been better for him to do the concert and condemn the new law from the stage. I completely disagree with all of that. First—and this should be obvious—all artists have the right to act in accordance with their consciences, even if that disadvantages some fans. The fans’ money will be refunded, so they’re not being personally disadvantaged in any tangible way. Second, making speeches from a stage to a captive audience is a terrible idea. I cannot see how making people sit and listen to speechifying when they paid for a music concert is in any way better than cancelling the concert and giving them their money back. Forcing people to listen to things they disagree with—and let’s be honest, not all of Bruce’s fans are on the same page as he is—will lead to tension and could easily lead to harassment or even violence. But let’s assume that wasn’t the case, and it was all sweetness and light as Bruce delivered his speech—what could possibly be gained? How would condemning the speech from the stage be any more significant than the exhortations we here to eat less and exercise more? We know those are virtuous things to do, we agree with the sentiment, yet most of us ignore it completely. I’m certain that Bruce making a statement from the stage would have been exactly like that. As a member of the LGBT communities, when I hear supportive words from our straight allies, I appreciate the sentiment, but I don’t respect words as much as concrete action. Don’t tell me you support my human rights—show me. Then, there’s this: Bruce Springsteen and the E Street Band are a large, well-known act, and that means lots of attention. When Bruce cancels a show, it gets attention for a cause, and it can encourage others to do the same, thereby bringing even more attention. Ringo Starr cancelled his show in North Carolina. Also, in a similar move, Bryan Adams cancelled his Mississippi concert in protest of that state’s anti-LGBT law (which is even worse than North Carolina’s). At the same time, not everyone can or should cancel their shows. ThinkProgress highlighted two acts that will play in North Carolina: One, Against Me!, is a punk-rock band founded by lead singer Laura Jane Grace, who is trans. The other is Brandi Carlile, a lesbian country artist. As smaller acts, they can’t afford to cancel, and even if they did, being smaller they wouldn’t get the media attention, which is the point of the big cancellations as much as punishing the state economically. Carlile also pointed out, “I’m a small artist, and I’m gay, many of my fans are gay as well. To cancel my shows in NC would further oppress my fans who are hurt by this legislation, who worked hard to suppress it, and who need a place where they can come together.” None of that is relevant for Bruce, Ringo, or Bryan. Similarly, Grace plans to turn their show into a “form of protest,” and will “definitely be speaking about trans rights on stage.” Both will be playing from a position of strength as people affected directly by the anti-LGBT laws. Also, it’s important to note that they support Springsteen’s cancellation. By cancelling their shows, Bruce Springstreen and Ringo Starr will incur costs, something smaller acts cannot absorb. But larger draws also have a flow on effect because fans buy travel, accommodation, and other goods and services. So, there will be an economic hit to the state. The biggest economic hit, of course, is coming from the corporate world. For example, PayPal cancelled plans to open a new global operations centre in Charlotte, and Deutsche Bank put is pausing its plans for expansion of its software application development centre in Cary. These two alone mean North Carolina has lost the better part of 700 new jobs. 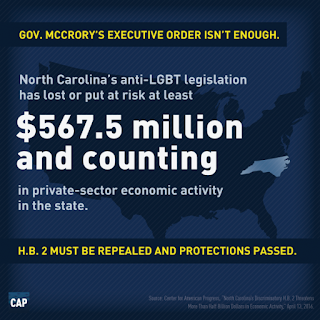 The Center for American Progress (source of the graphic up top) has estimated that North Carolina’s discriminatory law “Threatens More Than Half Billion Dollars in Economic Activity”. Promoting discrimination and bigotry has consequences. A prominent organisation in the radical right professional anti-gay industry is behind these anti-LGBT bills—and anti-trans bills specifically—as revealed day before yesterday in a report by CBS News. The head of the anti-LGBT group thinks corporations talking about economic boycotts or pulling out of states like North Carolina are making empty threats. "They're not gonna follow through," he declared. Asked by reporter Dean Reynolds, “So it's a bluff?” The professional antigay activist answered, "It's a bluff. They're not leaving." That professional antigay activist is clearly worried. 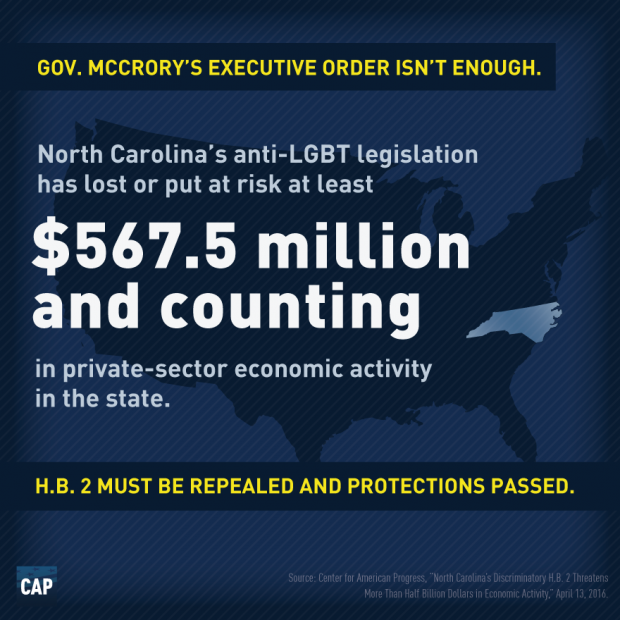 We know that economic pressure works: It forced Indiana to soften their anti-LGBT law, and it encouraged Georgia’s governor to veto that state’s law (while pointing out that discrimination against LGBT people is already perfectly legal in the state). Economic pressure is the one thing that Republican legislators will respond to, since they’re pretty much untouchable politically (the radical right’s efforts are ongoing in many states, but all of the truly horrible laws are being passed in solidly Republican states). In the face of organised oppression, an artist can do business as usual, or they can take a stand against oppression. Big acts can boycott, smaller acts can engage, and together they play their parts in restoring liberty and justice for all—no matter how much some radicals may resist, and regardless of whether some people think it’s silly or pointless. So, I applaud Bruce Springsteen, Ringo Starr, and Bryan Adams. And, I support Against Me! and Brandi Carlile. They’re all responding in the way most appropriate for each of them, and so are the corporations exerting economic pressure. Collectively, they’re all helping. I think that deserves a standing ovation. I haven’t done a Tooth Tales update in ages, but that doesn’t mean nothing’s been happening. Instead, it’s just that nothing’s been resolved. The second week in March, I went to the orthodontist for an initial consultation. His initial assessment was that he could get the tooth that’s dropped up a bit, bring the other one down a bit, and slightly closer together. After that, the dentist could apply veneers. The gap would be smaller, but not eliminated. Yesterday, I went back for the preparation work, which included photos, a few new x-rays, and moulds. Only the x-rays were normal. The photos began with me standing against a wall, basically for “before” photos. But then he used various plastic spatula like things to pull my cheeks or lips out of the way so he could photograph my teeth from various angles. It almost felt like I was being filleted sometimes. After that, he applied this purple goo to my lower teeth, which set and formed a mould. Then, he did the same with my upper teeth. It was a weird sensation, because it went in like putty, and came out like rubbery stuff. The frame that held the goo (which, by the way was the largest he had; he said American mouths are larger—he meant physically—than NZ mouths) had a button-like thing he pushed that must’ve raised part of it off my teeth to get some air underneath, making it easier to remove. Each time, though, I was briefly worried it might pull out an old filling. The oddest thing to me was that the purple goo smelled like grapes, but tasted of absolutely nothing—not rubber, silicone, plastic: Just nothing. It was very odd. After the purple goo, he had me bite down on some red stuff that was firmer, a bit like fresh bubble gum. It smelled of nothing and tasted of nothing, either. The orthodontist will take all of that and devise a plan that he’ll tell me about at my next appointment, in a little over a month (between now and then are school holidays, and they’re always very busy times for orthodontists, since it’s mostly kids who get this work done). It’ll be interesting to see what, if anything, has changed from his initial assessment. The week before, I see the periodontist for a check-up, and I’ll be able to ask if he has any concerns before I even hear what the orthodontist recommends. That’ll give me things to ask about once I meet the orthodontist. And, that’s where things are at. Nothing’s happened, exactly, but then again, things have: This is what needed to happen to see what the orthodontist can do. This saga will be continued—but with less purple goo. 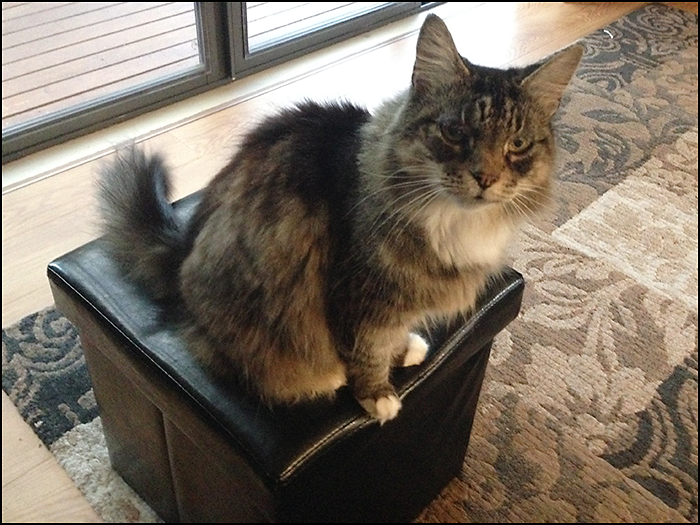 When I was trying to take photos of Jake on his birthday, the other two furbabies (Bella, photo above, Sunny, below)were nearby, watching. I took some photos of them, too, but didn’t share them on the day. I’m quite busy at the moment, so I thought I may as well share them now. Maybe I’ll have more time for a proper post tomorrow. Today is an unusual anniversary: 35 years ago today was the first time I did anything to publicly identify myself as gay. I don’t know how many of my gay friends can remember the specific date, and it may be sheer luck that I do, but the importance of that date has never left me: It was the day I started to stop being afraid. On April 5, 1981, I went to a meeting of what was then called the Gay People’s Union at my university. Afterward, I went with some of the folks to get a bite to eat, then on to the only gay bar in town. It was the first time I’d ever met any other gay people I didn’t know already, and it was as exhilarating as it was terrifying. After some time away from my university, I returned in January 1981, after my parents had died. I wanted to finish my degree, and to forge my independent life. I knew part of that would mean coming out, but how? I had no idea how to do that. I knew from previous years that the student newspaper printed a listing of all student groups meeting in the Student Center, so I knew that the Gay People’s Union met there. I watched the paper every day for a listing of their next meeting—and then the one after that, and the one after that. In fact, I have no idea how many I didn’t go to. The meeting before the one I attended, I went to the Student Center and to the meeting room. I don’t remember if I planned to go or not, but that day I learned that gay people aren’t punctual for community events. I waited around—but didn’t want to make it look like I was waiting around—because I wanted to see what the people who showed up were like. It’s not like I expected them to have green scales, cat eyes, and talons, but I did want to make sure they weren’t “weird”. I have no idea what that meant, and, in fact, I didn’t even then. I found a seat near the room and opened a book, glancing sideways toward the door from time to time. When some people finally went in the room, I walked past and peered in, using a sideways glance, looking through the full-length glass window next to the door. They seemed alright, but I wanted another look—but I didn’t want it to seem like I was having another look. So, pretended I suddenly remembered something (even though there was no one around to see my acting), then I turned around, walked back past the door (with another sideways glance), and walked to a nearby payphone. I grabbed the receiver and rang my own phone in my flat, glancing slyly over at the meeting room. I pretended no one answered (well, that wasn't pretending—I was ringing my own phone…). Then, I walked past the room again and—I went home. I was angry with myself, not for being afraid, but for having gone that far and no farther. I still had no idea if I wanted to be part of the group or not. So, next meeting, I told myself, I’d actually go—and, I did. I don’t remember anything about the meeting at all, apart from the fact my heart was racing and beating so loudly I was sure people could hear it on the next floor. Still, even though I don’t remember it, the event was fine—the folks were welcoming, especially the leaders of the group who had some experience in making newly out people feel safe. One of them was working on his Master’s in psychology, and eventually became my flatmate and a kind of mentor, giving me books to read and teaching me about gay culture—all the things I never knew existed. But all that was some weeks away at that point. I also can’t remember where we went to eat, but I think it was kind of diner-like place near the train station, and then we went to the bar. I was terrified and excited all at once. We weren’t out late, and I probably left when they did, and went on home (I don’t remember how, but I guess someone gave me a ride). I was buzzing. In that 2009 post, I talked about how it is that I can remember the date at all, but the reason I remembered to blog about it today is that Facebook reminded me. 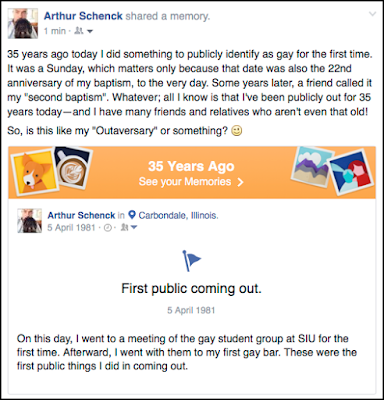 Sometime back, I added a “Life Event” about my coming out, and today Facebook included it among my “memories”. So, I shared it (image above), dubbed it my “Outaversary”, and then realised I really wanted to tell the whole story of what happened that day back in 1981. Sometimes, if we’re really lucky, we can remember very specific and important dates when our lives change dramatically for the better. 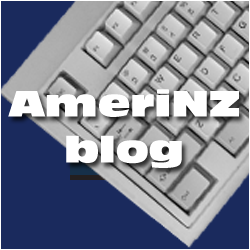 November 2, the 1995 date when I arrived in New Zealand to live, is a very important one, though I have plenty of others related to that date, too (and I blog about them all…). But the date that made even that possible was April 5, 1981, because that’s the day that my adult life truly began, and it was the first day of the authentic me. And if that isn’t worth celebrating, then I truly don’t know what is. Every March, social media fills up with people wishing each other a “Happy Pi Day”. It turns out, there are others, too. Yesterday was another of those days, something I learned about today—and about other days, too. I never paid much attention to Pi Day because it’s talked about using American date format—month/day/year. So, Pi Day is March 14 because 3/14 are the first three digits of the numerical expression of Pi. I suppose the best time to observe the day would actually be 3/14 at 16:00 (4pm), because 15:09:26.5358979, or, just before 3:09pm and 27 seconds, has a stray zero in the“09”, which would drive math nerds round the bend; better to round it. In our part of the world, which like most countries uses the day/month/year date format, Pi day can’t exist because there’s no fourteenth month. Or, can it? I learned today that there’s actually a Pi Approximation Day on 22 July because 22/7 is the fraction approximation of Pi. I learned about that today because my sister sent me an email wishing me a happy “Square Root Day”. One thing leads to another, of course. So, I Googled “Square Root Day”, and it turns out that it’s an actual thing, created by a high school teacher and “celebrated on days when both the day of the month and the month are the square root of the last two digits of the year,” like, 4/4/16. The next one isn’t until 5/5/25, then 6/6/36, both of which I ought to live to see, but 7/7/49 is a bit iffy, 8/8/64 even more so, and 9/9/81 seems highly improbable—though you never know! At least Square Root Day works regardless of date format. But the nerdy fun doesn’t stop there! What these three days have in common is that they celebrate the fun and excitement of people who are really into math and science, and that’s great by itself. They may also help keep people aware of the science and math that’s behind every single aspect of the universe, and maybe it’ll encourage them to answer their own question, “what’s that all about? !” That’d be even better. There are also plenty of days dealing with pop culture, like Star Wars Day on May 4 (“May the Fourth be with you”), and its corollary, May 5, “Revenge of the Fifth (a reference to Star Wars Episode III: Revenge of the Sith). Another similar popular date is May 25, both because the first Star Wars film premiered on May 25, 1977, and also because it’s known as Towel Day, a tribute to The Hitchhiker’s Guide to the Galaxy author Douglas Adams, who died on May 11, 2001 (the significance of towels, for the uninitiated, is explained in the link). The day has since been observed as Geek Pride Day. There are even cult literary events, some with specific days, too, like Towel Day, and also Bloomsday, held on 16 June to commemorate the life of author James Joyce, because Ulysses is set on that date (the name is derived from the protagonist of the novel, Leopold Bloom). I’m sure there are plenty of other days observed by geeks, nerds, and fans, and probably all of us fit into one or more of those categories at some time or other, including me: How else to explain how a simple email could send me into a vortex finding out about sometimes obscure and definitely geeky holidays? 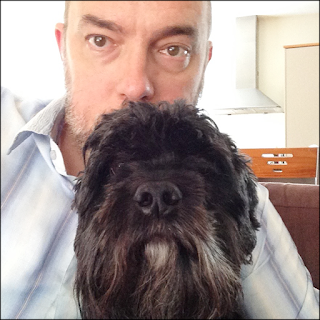 …Jake really doesn’t like posing for photos. I usually have to catch him while he’s resting because it’s quite rare for him to sit still while I take photos. His adopted sisters—Sunny the dog and Bella the cat—will pose for me; I think Bella secretly enjoys it, and Sunny likes the attention. Not Jake. Maybe it’s because he knows I’ll probably put the photo on the Internet. Probably not that, I suppose. My idea this year was to take a selfie of sorts with Jake, as I did with Bella last year, and I thought I’d take one with Sunny when her birthday rolls around again, too. Jake tried to get away as soon as he realised I was taking a photo. In fact, in every shot I’m staring at my phone so I can see if he’s looking anywhere near the right direction—so of course I found one where he was and I wasn’t. I was also probably talking to him behind his head to keep him calm in a (futile) effort to get him to pose. As I’ve said many times before, Jake is very different in behaviour from Sunny. 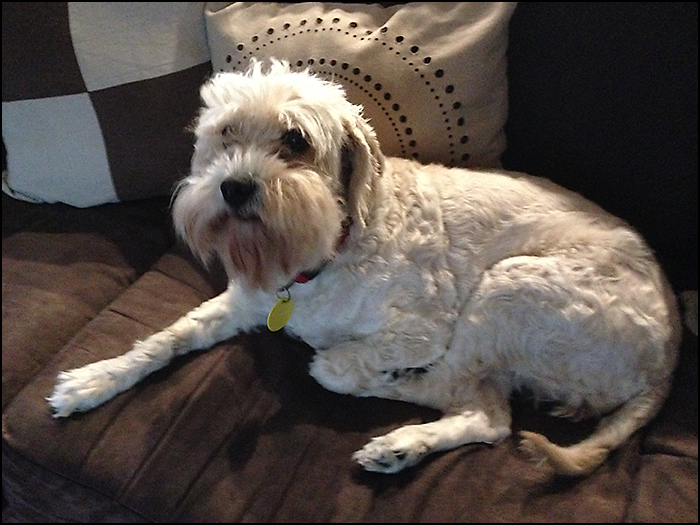 Of the three furbabies, Jake is the most “human”—seeming to be contemplative and aware so much of the time. Where Sunny seems happy-go-lucky, Jake seems to know what’s what—and sometimes, even what we’re thinking. 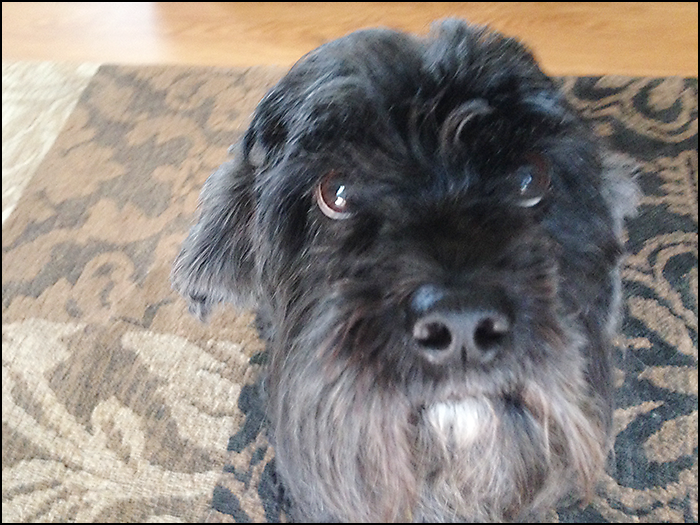 I’ve noticed how Jake and Sunny both—but Jake especially—loves eye contact. He will hold it for longer than any human I’ve ever known—well, apart from the creepy ones who seemed to do it because of how uncomfortable it made people feel. Those people made me want to get away from them, but Jake doesn’t make me feel that way. The photo at bottom is how Jake began his day: I got up early this morning and found all three furbabies sleeping in a row, and that’s something that almost never happens. 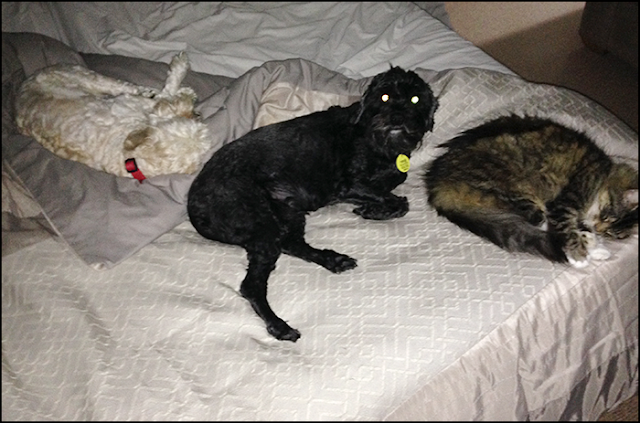 Sunny doesn’t seem to mind sleeping near either of them, but Jake is wary of Bella and her sharp fingers. So, this was a rare thing (which is why I shot a quick photo with my phone. The photo above that was a shot of Jake alone, taken not all that long after the attempted selfie above; it was the best of several photos I took of him. I’m not exaggerating about how much Jake seems to loathe being photographed. Still, Jake got to spend much of the day sleeping (a favourite thing), barking at noises, and patrolling the front garden. From his perspective, it was a perfect day. I probably annoyed him a little too much with cuddles and scratches, but his birthday means more to us, I’m sure, than it does to him. Which is why every year we feel like we get the present, because he’s made our lives immeasurably better. 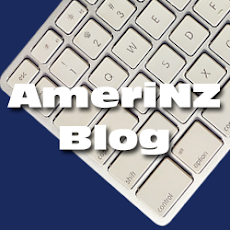 April first is the beginning of the new tax year in New Zealand, which means, obviously, that yesterday, March 31, was the end of the previous year. The truth is that even after all these years in this country, I have absolutely not idea why April 1 is the changeover date. For most wage and salary workers, and even most businesses, the change from one tax year to another isn’t a bit deal—it just happens. Self-employed people and independent contractors will sometimes delay billable work for a new tax year’s project until April first because otherwise they’d need to account for their time in the old year’s accounting—very messy, and leading to a necessary gymnastic. All countries set their tax years to whatever they want, and very often those don’t match with nearby countries (Australia’s begins on July 1, for example). But whether they align or not, they must still be dealt with as one of the two things that are unavoidable. This week was also an ending for me because I didn’t seek re-election to my Labour Electorate Committee (LEC), as I mentioned in February. There’s more to be said about that, all sorts of existential things, to be honest, but I’m not sure how interesting they are; I need to give it a go and see what I get. For now, suffice it to say that I had very mixed emotions, and for very many reasons. So here we are, at the start of a new tax year in New Zealand, the start of new things for me, but also the end of my journey along many paths. It’s a good place to be. And, like most New Zealanders, I have my taxes all in order.